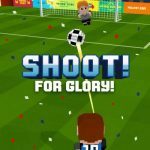 Flick Soccer France 2016 is yet another one of the many soccer games that emerged for Android and iOS in the run-up to UEFA EURO 2016. While it’s similar to most of the other soccer games we covered, as it doesn’t focus much on the management side of things, it stands out because of what developer Full Fat calls the ultimate control and realistic ball physics you can enjoy while playing the game. There are five different game modes, including “arcade-style” target practice, free kick mode, and a crossbar challenge, and the game also includes new players, new fields, the ability to play in different times of day and weather conditions, and a lot more. 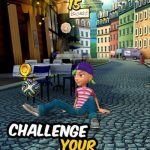 Although management games are arguably more challenging due to the sheer volume of players and teams you have to deal with, arcade-style games like this one also come with their share of challenges. 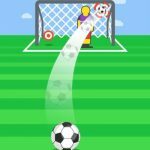 Let us show you how to get past them, as we now bring you our list of Flick Soccer France 2016 tips and tricks that should work well for you regardless of the mode you decide to play. Specialist mode is what we’d call the “classic” game mode in Flick Soccer France 2016. This would require you to kick the ball toward the moving target, with the target floating around the goal. Your objective is to kick the ball as close as possible to the center of the goal in order to score more points. There are also gold targets and multiplier targets you can hit, and should try to hit; the former target adds to your gold earnings, while the latter allows you to rack up a higher score. 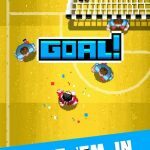 Crossbar mode is quite interesting, and Full Fat calls this mode a skills challenge of sorts. Unlike traditional soccer, where you have to kick the ball into the goal, your objective here would be to hit the crossbar. That might sound easy, but it’s actually quite a difficult mode. Smash It mode, on the other hand, will have you kicking the ball into glass panels, smashing them in the process. Lastly, Challenge Mode is all about trying to score a certain number of points, but the other mechanics in this mode are exactly the same as Specialist mode. Once you’ve ended your run, you will see an ad pop up, and after that, you may see yet another pop-up, this time asking you if you want to watch a video in order to kill the ads for ten minutes. Watch the video in order to get a respite from the ads, because if you don’t, you’ll get yet another ad, which could get really, really annoying. It could be quite cloying and pushy, though if you want to absolutely get rid of advertisements in the game, you can hit the Remove Advert button and pay $2 to get rid of all ads permanently. Even if you uninstall and delete the game, you’ll still be able to play ad-free once you re-install it, simply by hitting Options, then Restore Purchases. These would be our quick tips and tricks for Flick Soccer France 2016. Know other hints for this game? Be sure to let us know in the comment section below!